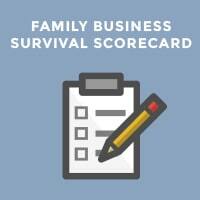 What happens if the family business’s success comes to a screeching halt when the founder steps down? What would that say about the business and the founder? To me, it would say that the business wasn’t as good as it thought it was and the founder had failed on one on his or her most important tasks. Many founders I work with seem to have a hard time getting their mind around this concept. They are so focused on their own power and identity they fail to contemplate the future of the business without them as the leader. I’m sure that’s human nature. Most of us don’t want to think about the end of our life or career. For some founders their whole identity is so intertwined with their business it’s hard to tell the two of them apart. So another way for the founder to look at this whole issue is to see that a smooth, seamless leadership transition makes greater business success and ultimately a greater long-term legacy. 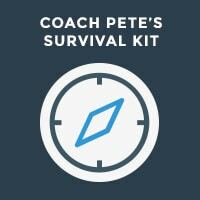 Identifying and grooming their successor actually helps the founder live longer vicariously through their business. Still, so many of them struggle to see it that way. Many have an opposite and unhealthy way of disapproving of new ideas trying to reiterate the fact that they are the smartest person in the room. The more often they fall into that trap the more they ultimately undermine their long-term legacy. Let’s all try to gently and compassionately help the founder take their hands off the wheel and see that a smooth leadership transition actually cements their future in the family business hall of fame. 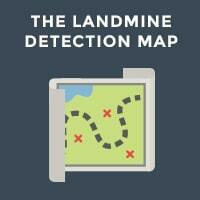 Take a look at our Landmine Detection Map is you want to see all of the family bombs that can doom long term success.